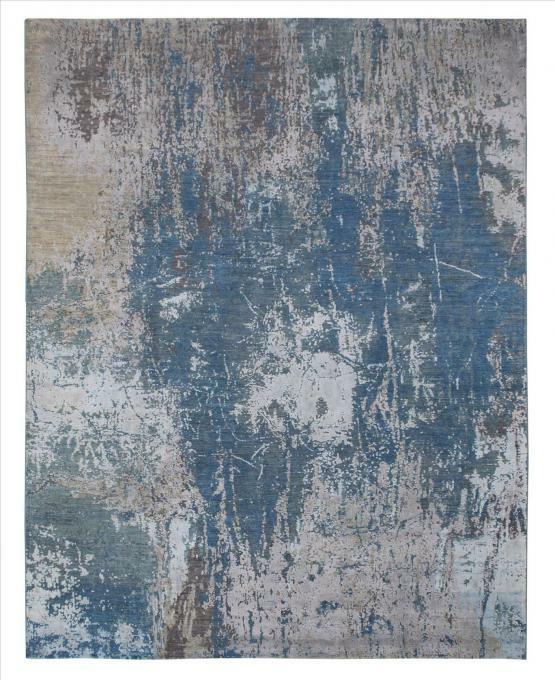 Textured pure silk and wool hand-knotted rug. Made in Pakistan. This is a one of a kind piece.